In this weekend’s LA Times Angela Garcia reflects on the ubiquity of addiction and its attendant crisis in New Mexico’s Espanola Valley, where she conducted fieldwork for her recently released book The Pastoral Clinic: Addiction and Dispossession along the Rio Grande (University of California Press, 2010). Garcia, a medical anthropologist at Stanford, notes that the Espanola Valley “has the highest per-capita rate of heroin-related deaths in the United States,” a situation which many residents view as linked to the region’s “history of land loss, which reaches back to the colonial era and continues today,” (Garcia 2010). [The show] closes each episode with a gathering of family, friends and a professional “interventionist” confronting the featured addict. Accept the “gift” of in-patient treatment, they are told, or be cut off from the circle of people who have heretofore loved and “enabled” you. Overwhelmingly, the addicts featured on “Intervention” agree to treatment. In the world of television, this means they get meds to stabilize them and are then chauffeured to a state-of-the-art inpatient program, usually by the sea. Like other “makeover” shows, the lavishness of the solution is so grossly disproportionate to what would be available in real life that it all seems like a Frank Capra movie. 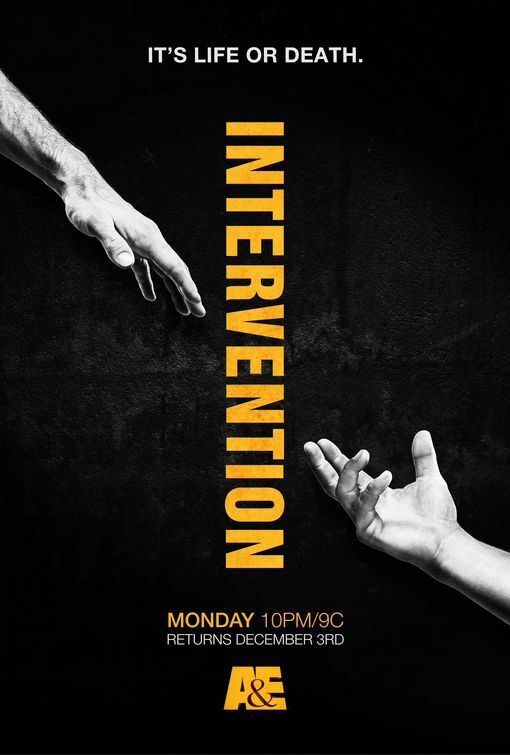 To be fair, “Intervention” does report relapses in that little text box at the end of the show. For most addicts, “rehabilitation” isn’t so glamorous. It usually comes through some form of incarceration by the state, often ordered by the courts after an arrest. As part of their plea agreement, Dion’s parents will be treated at the clinic where I once worked. I hope they succeed, but I also know that today, the service the clinic provides is even more limited than it was in my time. On Monday night, I will again watch “Intervention.” Much as I resist it, there will be moments when I am moved by the story line. But when it’s over, I will be angry — angry at how easy it all looks, at how accessible treatment appears to be, at how great the distance is between this representation and the reality for most addicts. Then, on Thursday morning, I will again read the online edition of the Sun and learn the latest news about overdoses in the Espanola Valley. And I will wonder how much longer it’s going to take for a more profound intervention to take place,” (Garcia 2010). See: Angela Garcia, “Dion’s Short, Tragic Life,” Los Angeles Times, July 17, 2020. For a previous post on Garcia’s Cultural Anthropology article, “The Elegaic Addict,” look here and check out her book, The Pastoral Clinic: Addiction and Dispossession along the Rio Grande (University of California Press, 2010). Raikhel E. Ethnography and the somber realities of "intervention". Somatosphere. 2010. Available at: http://somatosphere.net/2010/ethnography-and-somber-realities-of.html/. Accessed April 24, 2019. Raikhel, Eugene. 2010. Ethnography and the somber realities of "intervention". Somatosphere. http://somatosphere.net/2010/ethnography-and-somber-realities-of.html/ (accessed April 24, 2019). 2 Responses to Ethnography and the somber realities of "intervention"
As a colleague of Angela's I know I might be considered biased, but it's a fabulous piece in line with all her fabulous work! These are fair points about the series. In addition, I would add that I find the application of an addiction model to every form of mental illness and social dysfunction encountered – as the show's interventionists do –to be troubling. That said, one thing that the series does quite well is to counter the hyped enthusiasm for biological and genetic determinism that is so prominent in the popular media today. The show takes life-history, experience, and family narratives seriously, locating personal problems within ecologies and histories of relationships. To be sure, we could do without the music cues and overly dramatic cuts, but one does come away, I think, with a more complicated sense of what life might be like for those living with substance abuse.